This is the second edition of a book originally published in 1997 and has been updated and expanded. For many, aircraft hijacking and sabotage is a relatively recent phenomena connected with Arab terrorism. As his book demonstrates, it is risk that dates back to the early days of passenger aircraft. DESCRIPTION: This is the second edition of a book originally published in 1997 and has been updated and expanded. For many, aircraft hijacking and sabotage is a relatively recent phenomena connected with Arab terrorism. As his book demonstrates, it is risk that dates back to the early days of passenger aircraft. The first airliner to be attacked is generally accepted to be the Imperial Airways AW Argosy biplane, followed in February 1931 by the hijacking of a Pan American-Grace Airways Fokker FVII trimotor in Peru. However, there may have been earlier attacks that went unrecorded. Sabotage is only detected when the wreckage is discovered and analysed. As with the PanAM 747 brought down at Lockerbie in Scotland, it was only an error by the Libyan terrorists that provided proof of sabotage. Had the bomb exploded as intended, the aircraft would have been lost over the Atlantic and wreckage might never have been found. Similarly, hijacking is only proven when the hijackers make contact with demands, or the aircraft lands. That known attacks date back to the 1920s, when passenger aircraft were still relatively rare, suggests that identified attacks do not tell the whole story, but may represent the majority of incidents. Attacks certainly increased in numbers after World War Two, but as a percentage of all commercial and private flights, they are still rare events that assume a greater visibility because they generate news headlines. It is not known how accurately incidents were recorded in Communist States where hijacking was primarily promoted by those wishing to escape to the West. The author has done a meticulous job of recording attacks chronologically and bringing the history up to September 2009. He has rightly dedicate one chapter to the 9/11 hijackings which mark a new stage in terrorist attacks involving aircraft. As a result of 9/11, security services are forced to take a new approach to hijackings. Where the previous response was to allow the aircraft to be landed and then attempt to negotiate the release of passengers, or to storm the aircraft using special forces, a hijacked airliner is more likely to be intercepted and shot down to prevent the risk of the aircraft being used as a weapon. 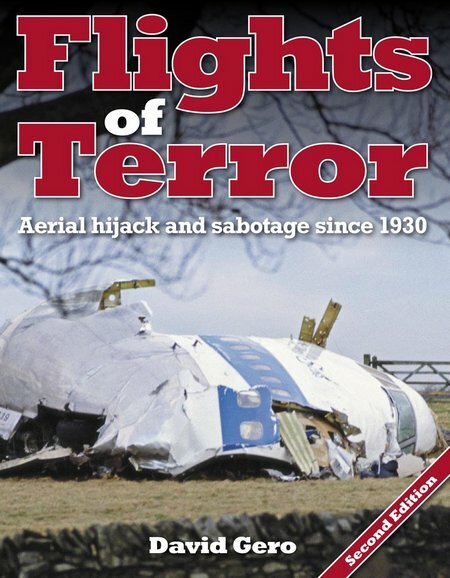 This is an informative and absorbing book that provides insight into the risks of sabotage and hijacking of aircraft.